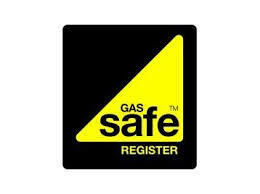 Home > Blog > Landlords – are you up-to-date with the amended gas safety regulations? Gas Safety (Installation and Use) (Amendment) Regulations 2018 came into force on the 6th April 2018 throughout England and Wales. So what do the amendments to the gas safety regulations actually mean for landlords? In short flexibility! The regulations allow a landlord to organise a gas safety certificate up to two months before the annual due date without it moving the due date forward for the next annual test. This is a positive development as it prevents landlords having to wait until the last minute so as not to shorten the annual cycle check, particularly important when a property is void and waiting a re-let. The new legislation will avoid a scenario where a landlord could carry out a gas safety check a couple of days before a new tenant is due to move in only to find it has failed, putting the landlord under pressure to undertake repairs in time for the new tenant. A gas safety check is carried out on the 1st April 2018 so the next test is due by the 1st April 2019. However, the property is void with a tenant wishing to move in towards the end of March 2019. If we carry out a gas safety check on the 1st March 2019 we have plenty of time to action any repairs and the next test will still be due 1st April 2020. Another small but important amendment not to be missed – the original legislation required certificates to be retained on file for at least two years, the amendment states that the most recent two certificates must be retained for a minimum of two years. We welcome the additional flexibility the new regulations will bring for landlords. If you require any further guidance or advice on safety certification and your obligations as a landlord, our experienced lettings team will be delighted to help, so call us on 0121 456 1700.